Gala Chairs Sanjay Mittal and Sunita Gupta lauded the generosity and the spirit of altruism in the Richmond community. 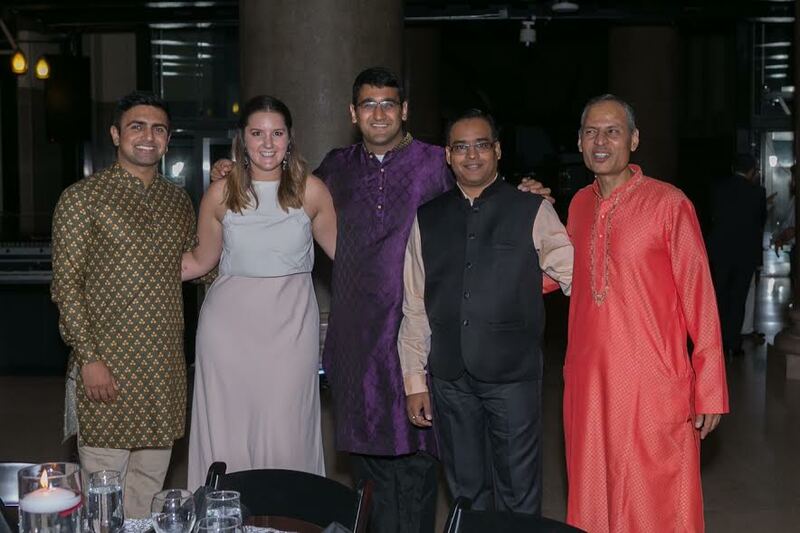 American India Foundation (AIF) during its annual Virginia gala at The Science Museum of Virginia on Sunday, 17th September raised over $60,000 for the organization’s poverty alleviation work in India. 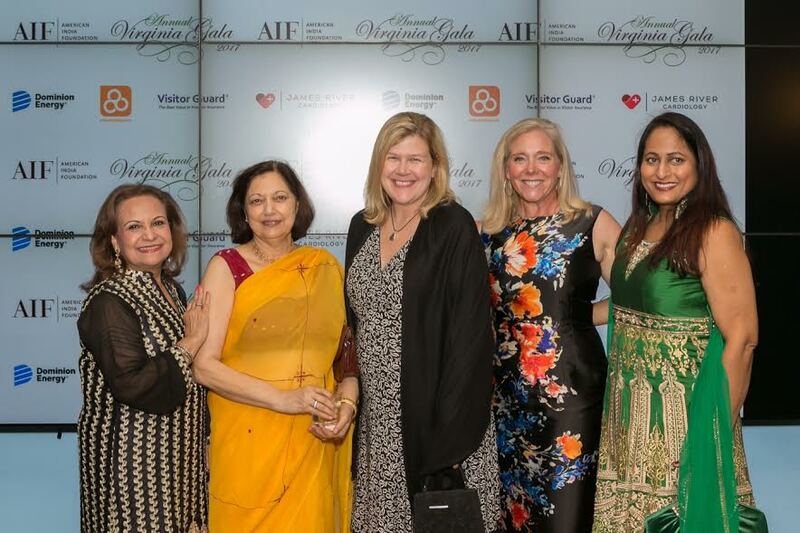 The gala honored Dr. Aradhana Bela Sood, a Senior Professor of Child Mental Health Policy, who was the Chair and Training Director of Child and Adolescent Psychiatry at Virginia Commonwealth University, Richmond until 2014. As a clinician, Bela Sood has upwards of 350 patients and consults with youth in the juvenile justice system. She has been on Richmond Magazine’s Best Doctors list since 1996 and has received VCU’s highest Distinguished Award for Service. The focus of her current work is promoting resilience and prevention strategies in child mental health from a public health and collective impact perspective through inner-city programs. 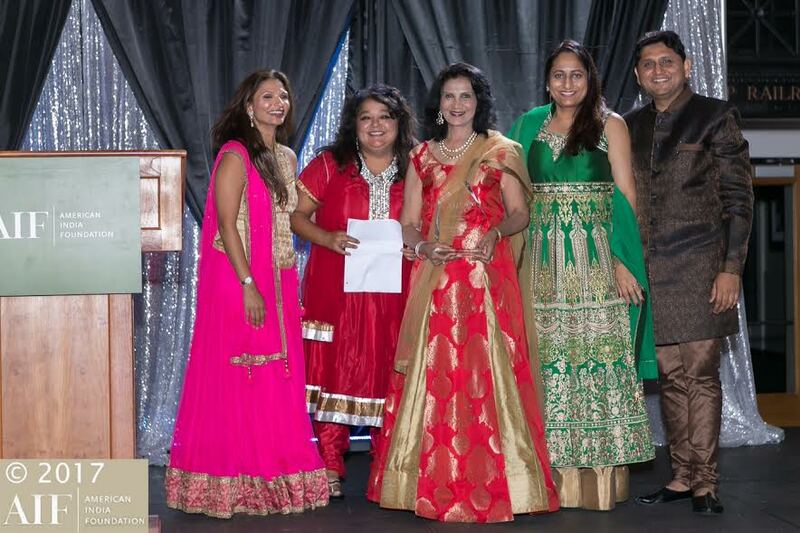 AIF Virginia’s Nupa Agarwal and Rupal Agnihotri presented the award to Dr. Sood. The event was also attended by about 160 guests, including some of Richmond’s top doctors, executives and investors, entrepreneurs and community leaders, including Lincoln Saunders – Chief of Staff, Richmond Mayor Office, Mitesh Amin – Partner James River Cardiology, Shannon Taylor- Henrico Commonwealth Attorney, Rebecca Gwilt – Partner Nixon Law Group and Stephanie Lynch – Director, Virginia Association of Health Plans. which trains persons with disabilities and facilitates their entry into the job market through advocacy, thus promoting inclusive growth in India. Attendees were able to take a look into the lives of ABLE beneficiaries, to understand that people should be recognized for their abilities, not their disabilities. The event started with a lively cultural performance by local performance group Bhangre de Sher. The master of ceremonies and auctioneer was Arunima Abraham. The evening also featured remarks by ABLE Program Head Manish Kumar and the sponsors of the Gala includes Dominion Energy, eHealthObjects, James River Cardiology, Agarwal Law Firm and Visitor Guard.